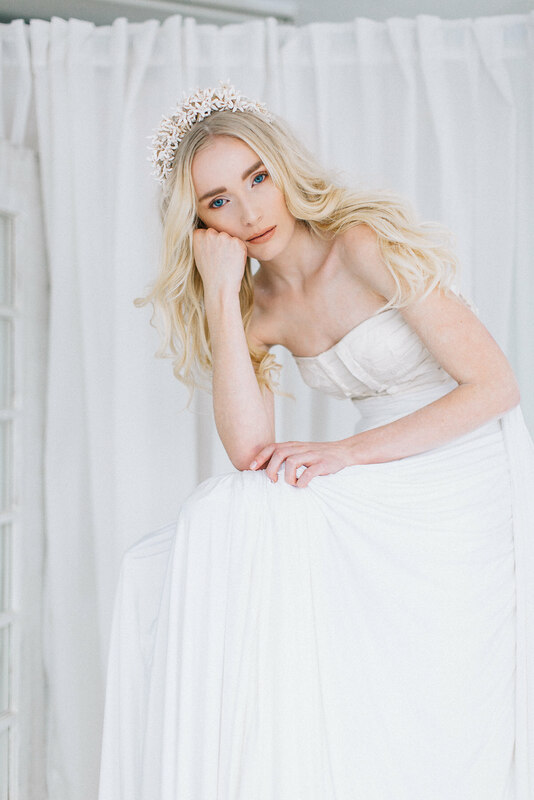 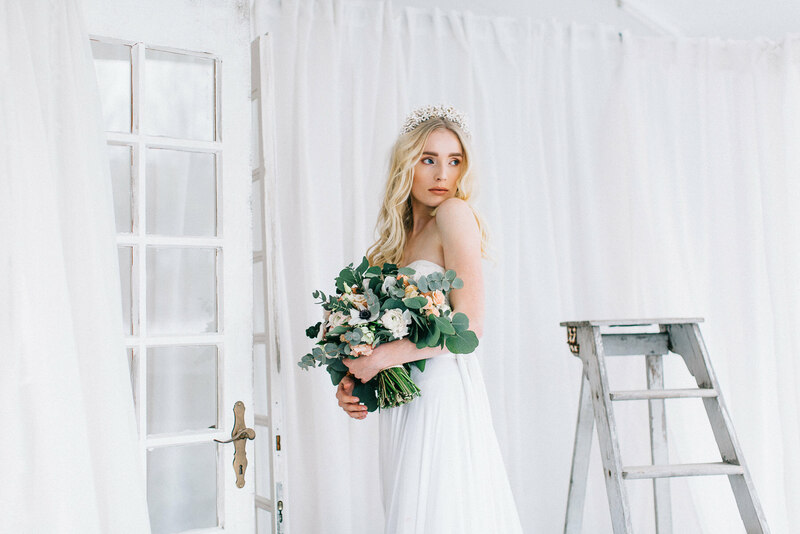 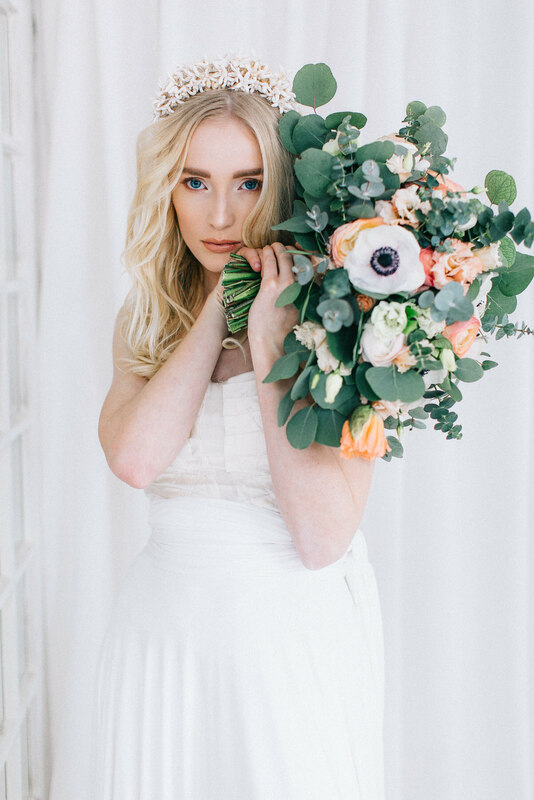 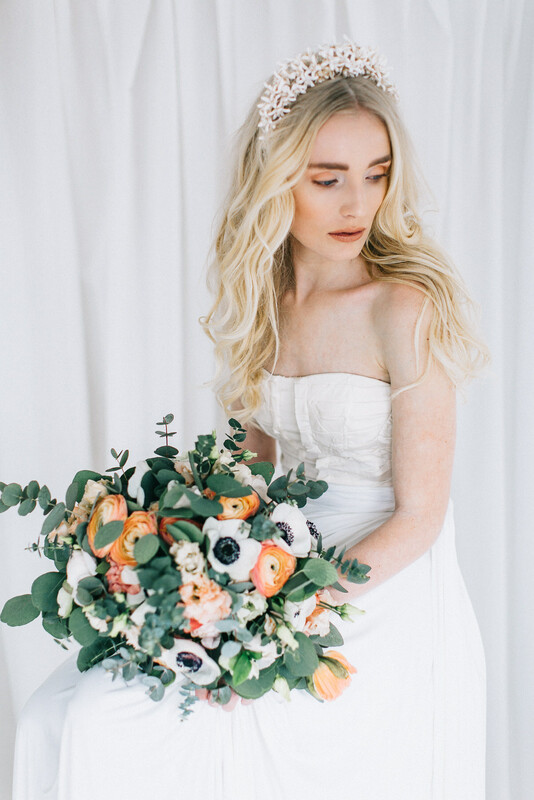 Achieving a modern and natural look by just using bare essentials and matching minimalist decor with our beautifully natural bouquet was our intention for this styled bridal editorial shoot. 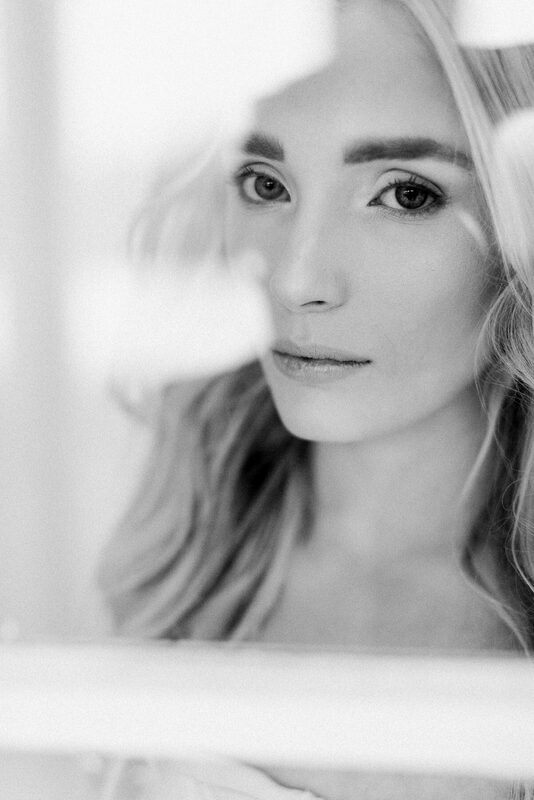 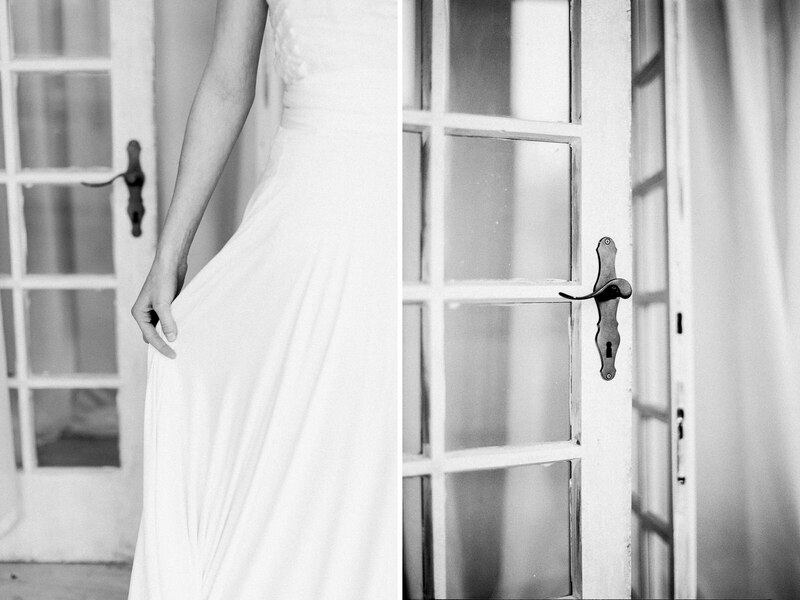 We focussed on the bride herself and created portraits that showed her on the most important day in a moment of calm before meeting her groom. 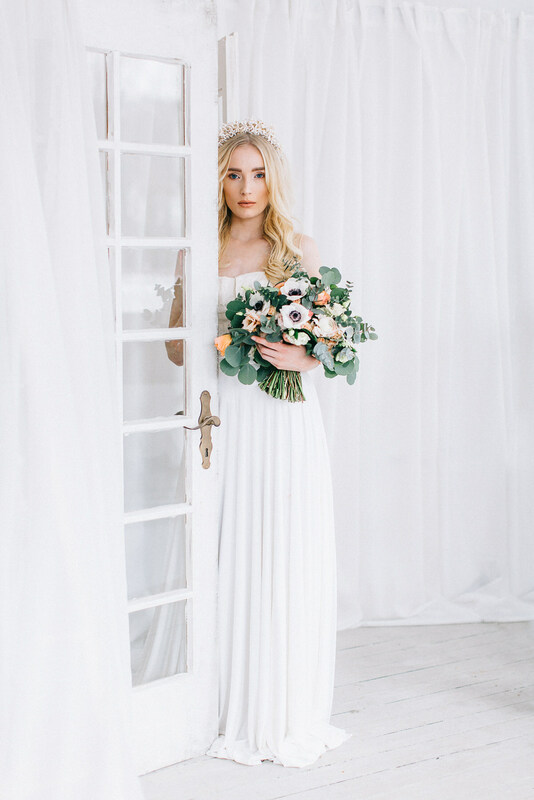 We made sure just to style elements that are often found on a wedding day: the bride, a dress, florals and bare interiors. 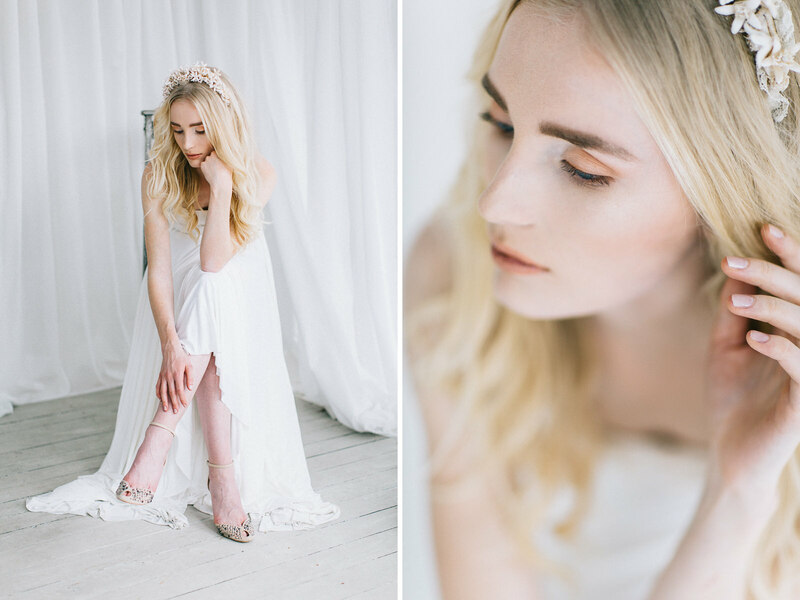 A short portrait session after getting ready and before the first look or ceremony is the perfect way for us to capture and show the beauty of a bride. 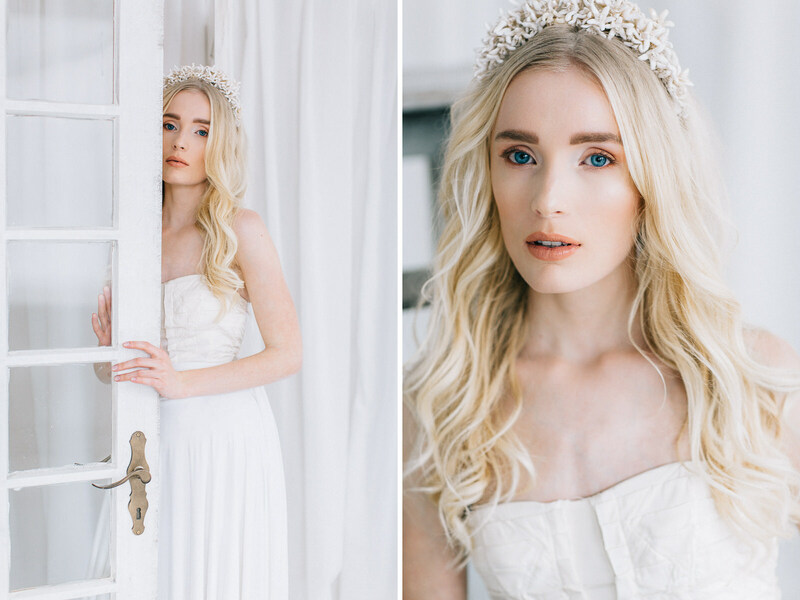 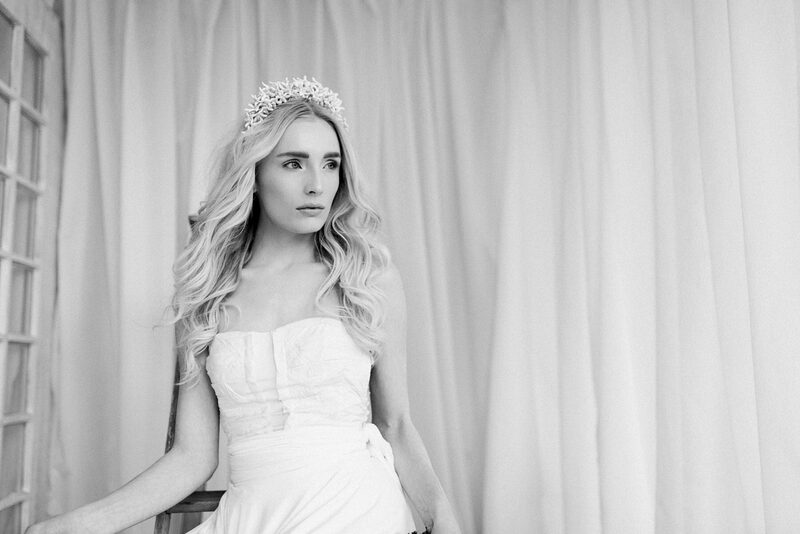 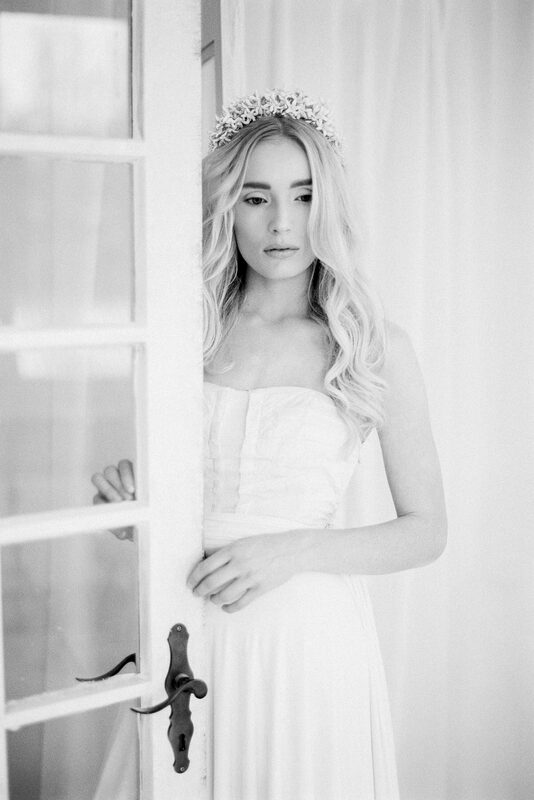 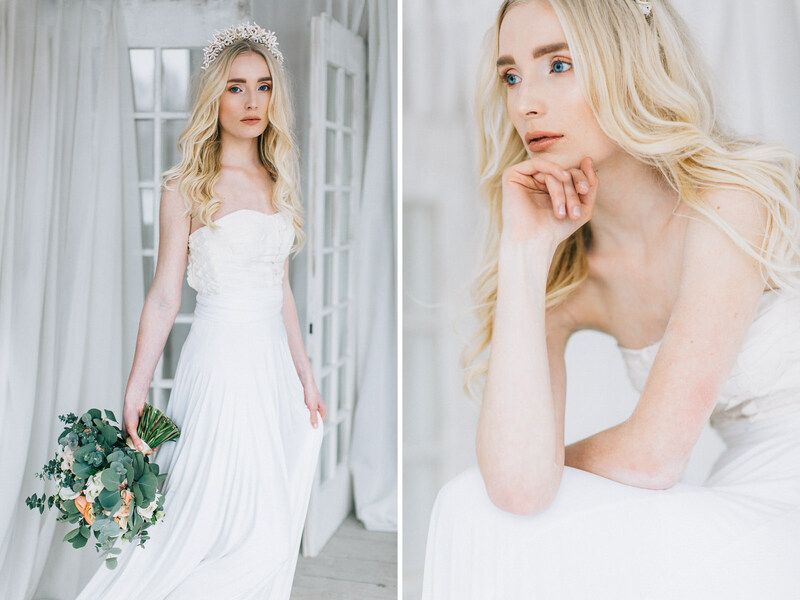 We absolutely love the combination of plain interiors, white backdrops, soft window light and these calm moments during the bridal portraits with a light touch.